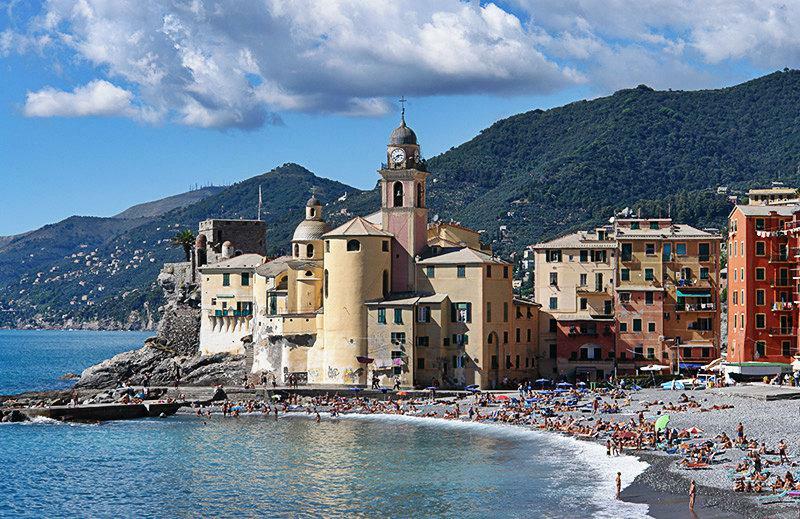 Enjoy the colourful houses and buildings in the city of Camogli in Liguria, Italy. 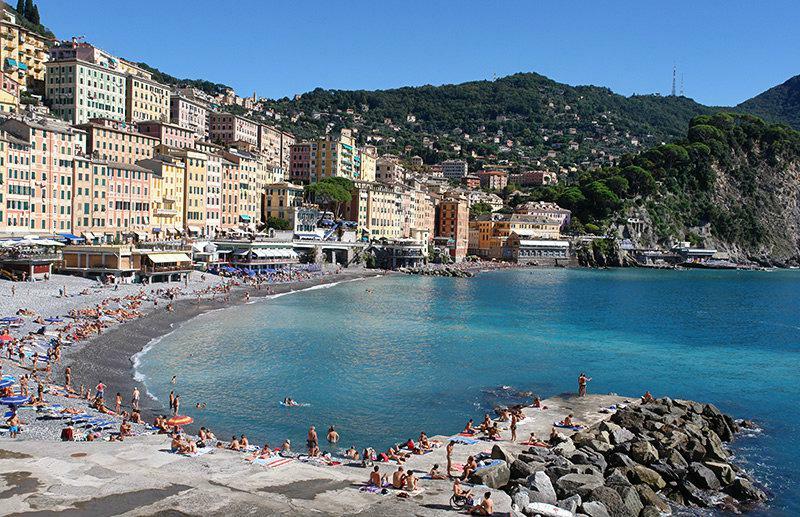 Every visitor to Camogli must at one time have visited San Fruttuoso. 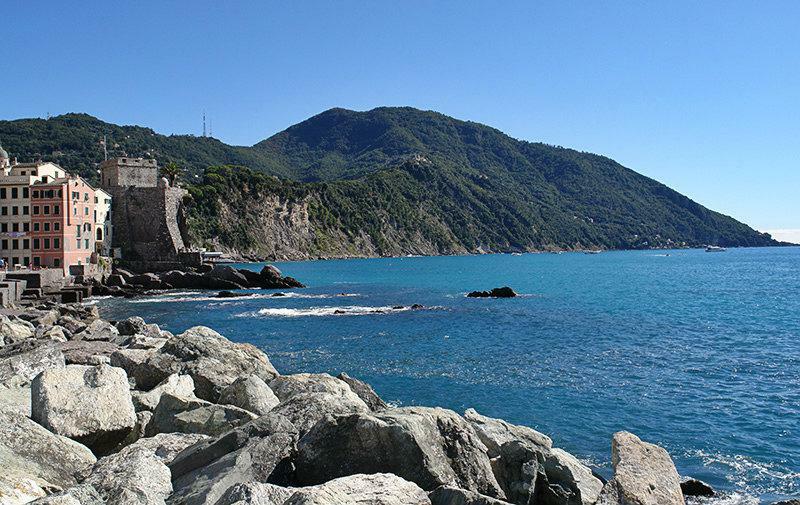 A charming hiking tour will lead you along the steep coast up to Punta Chiappa. From there you reach San Fruttuoso either via a steep path on land or by the boot. Those who love deep sea diving can see the famous submerged statue of Christ of the Abyss from near. 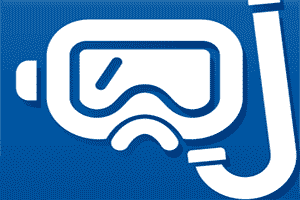 For everybody else there are also snorkeling trips meant to enable you marvel at the undersea world from the surface. 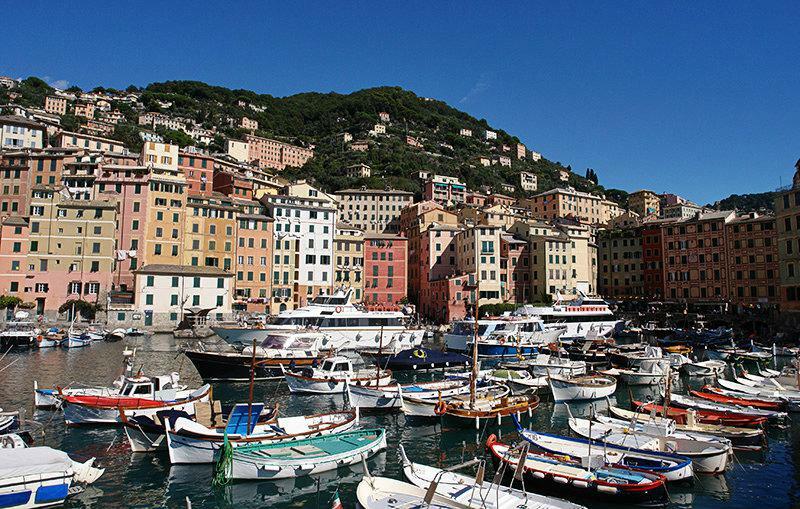 All those who visit Camogli in May should not miss the Sagra del Pesce. Every second Sunday in May fish is deep-fried in the largest pan in the world and distributed to the visitors. One can reach the baroque church of Santa Maria Assunta from above the sea side promenade which connects to the pebble beach; the interior of this church was coated with gold and paintings. Camogli was once also known as the town of 1000 sails, because shipbuilding was booming here in the middle of the 19th century. At that time more ships were being constructed in Camogli than in its rival town of Hamburg. That golden age can be seen in the Museo Marinaro Gio Bono Ferrari. It was during that same time that the multi-coloured eight storey residential building skyline at the port developed, which skyline can be marvelled at most especially from the coast. The picturesque facades of the fishing houses painted pink, yellow and orange, together with their green, quadratic window shutters, excite every visitor to the area. Another exciting aspect is that the rear exits of the residential houses are mostly on the 4th flour, such that the residents find themselves on the same street level with the city centre. One nice side benefit of the high row of houses is that the wind from the coast is blocked and therefore a temperate climate is created. The actual centre of Camogli is the port. You can find some multicoloured sports- and fishing boats there. 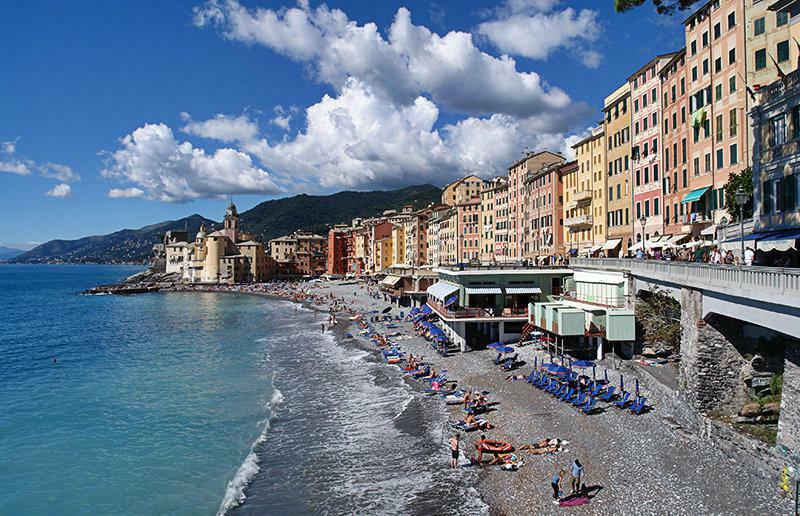 However, Camogli’s main specialization is inshore fishing. The catch is sold in shops nearby. The nets are hanged up for drying on the quay, and they are decorated with Valentine’s Day messages. 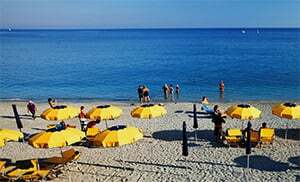 Camogli is a village in the province of Genoa which lies in the Liguria region. 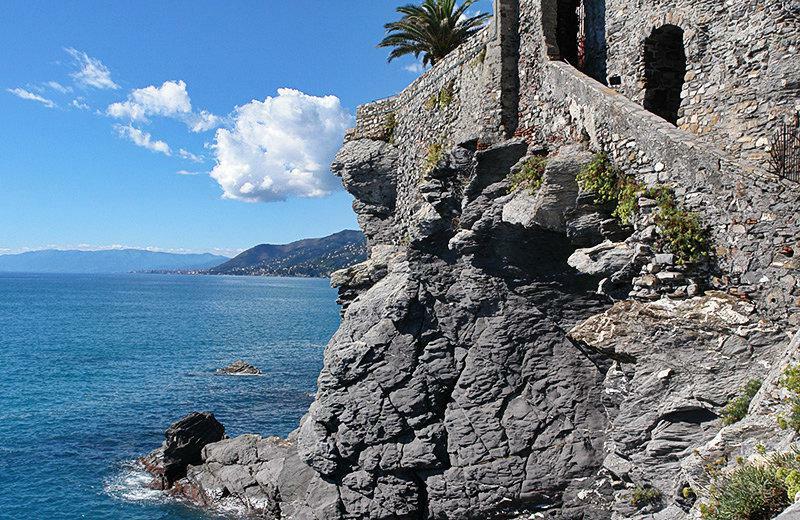 Near Camogli are several other villages like: Recco (3.6 km), Mortola (4.8 km) and San Martino di Noceto (3.9 km). 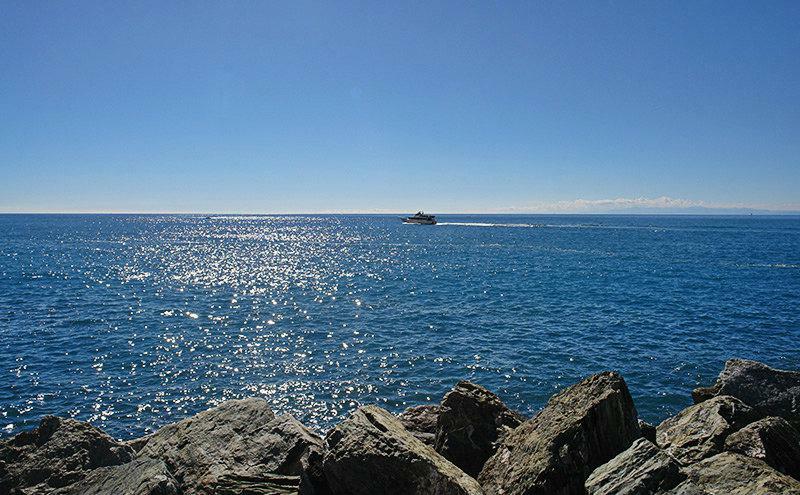 When coming from Genoa, take the highway exit to Recco and then follow the SP333 until you reach Camogli.